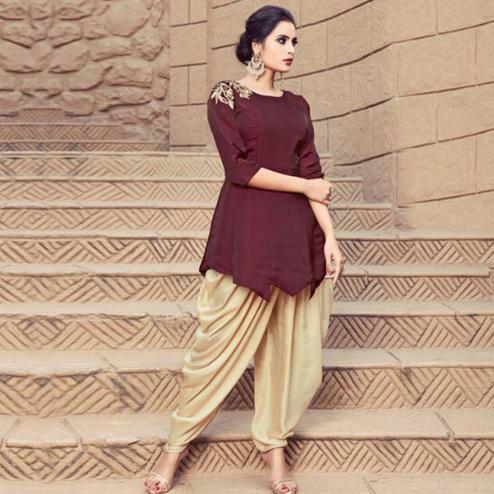 Look striking & stunning wearing this beautiful peach salwar suit. 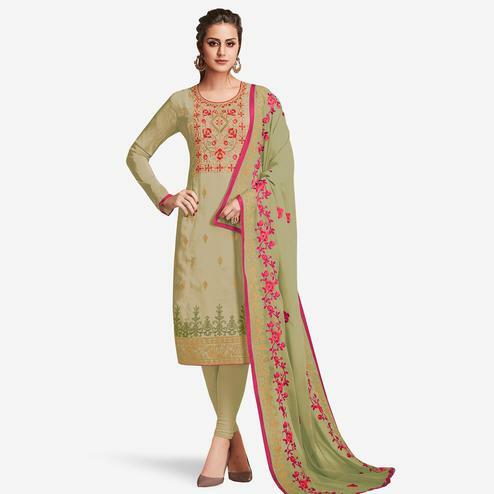 This unstitched attire look has been enhanced with embroiders lace border & print work which makes an ideal choice. When paired with matching bottom & printed border dupatta completes the outfit perfectly. It's a perfect dress to wear for casual parties & social get together.